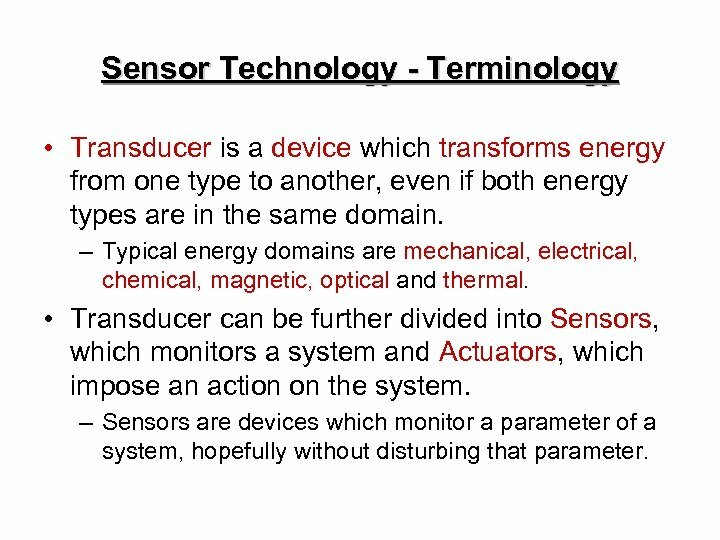 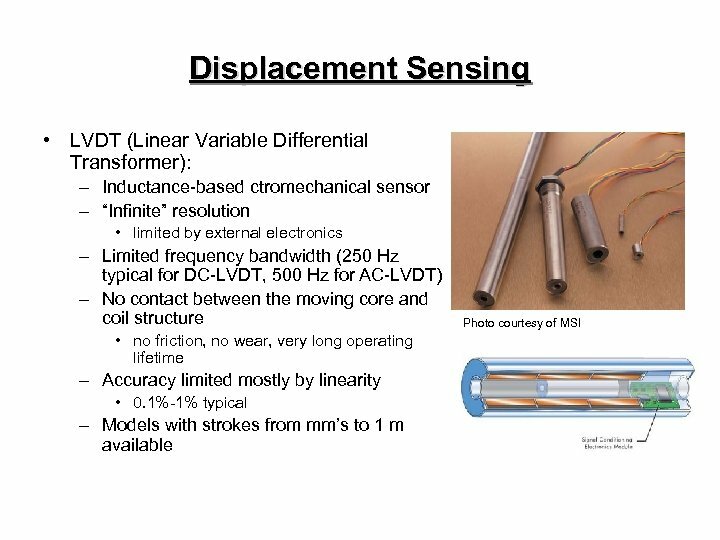 Sensor Technology - Terminology • Transducer is a device which transforms energy from one type to another, even if both energy types are in the same domain. 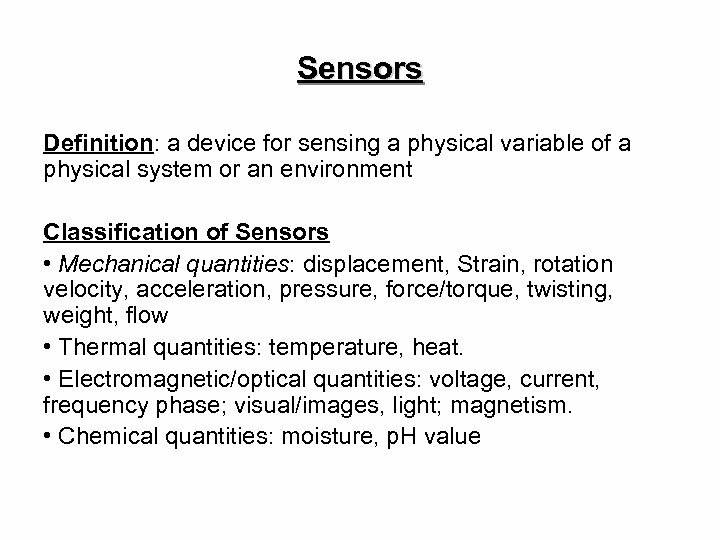 – Typical energy domains are mechanical, electrical, chemical, magnetic, optical and thermal. 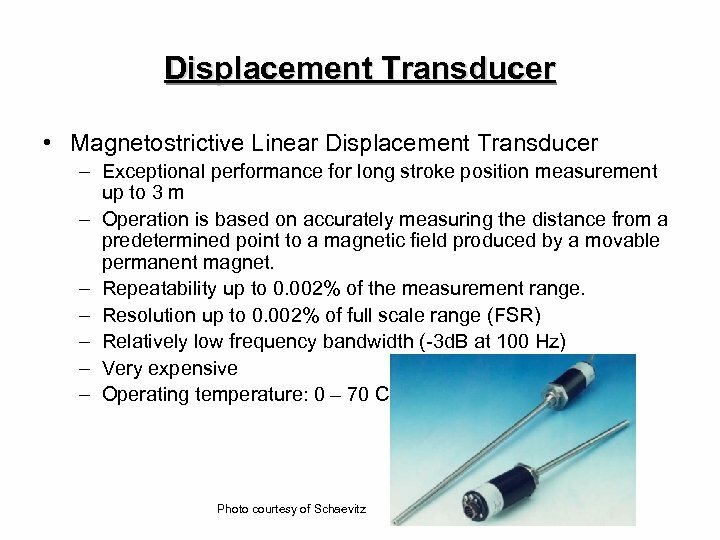 • Transducer can be further divided into Sensors, which monitors a system and Actuators, which impose an action on the system. 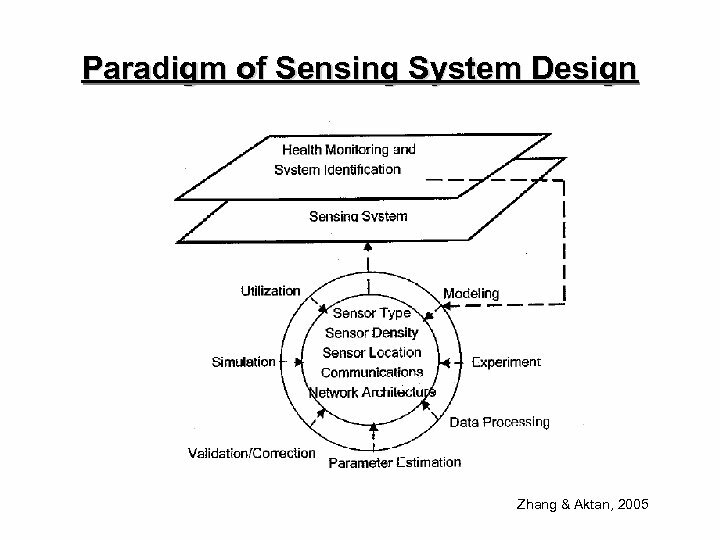 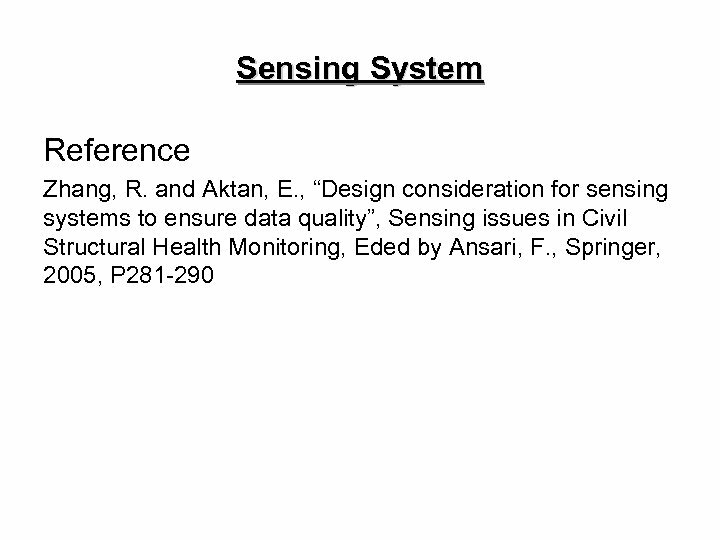 – Sensors are devices which monitor a parameter of a system, hopefully without disturbing that parameter. 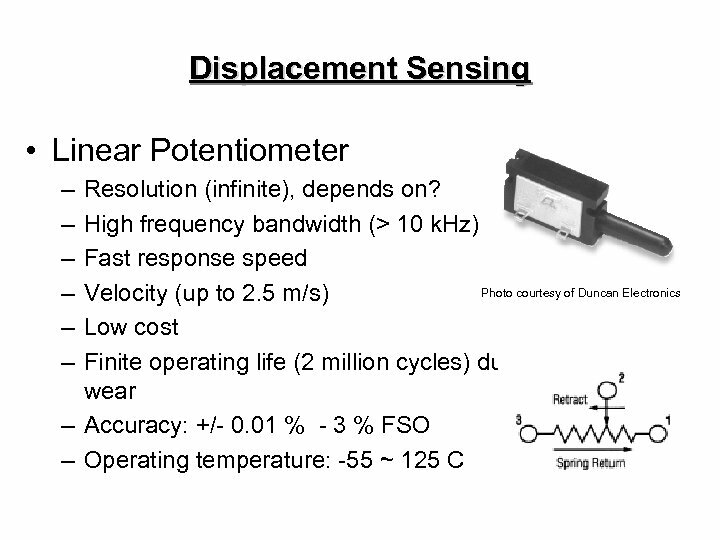 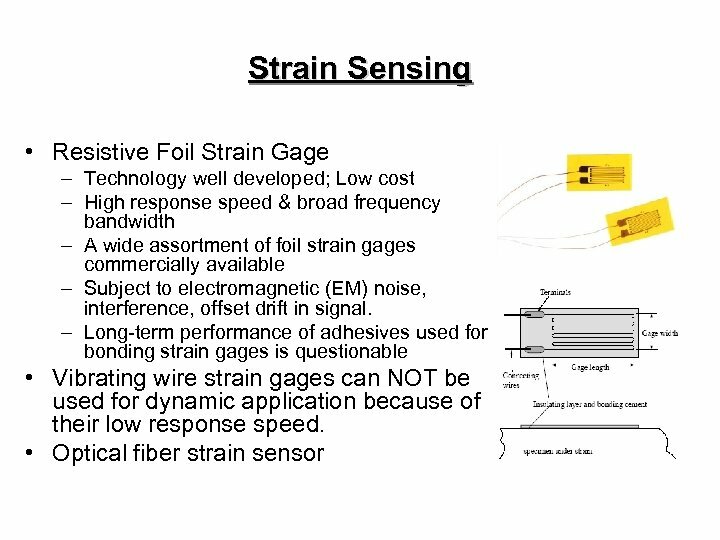 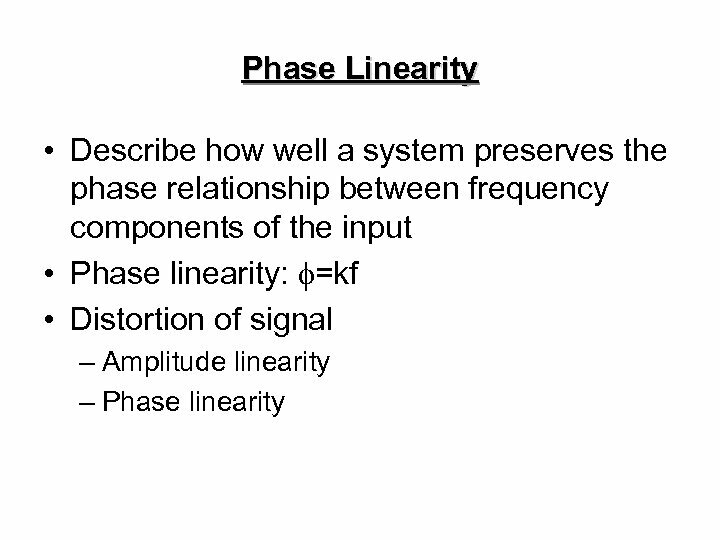 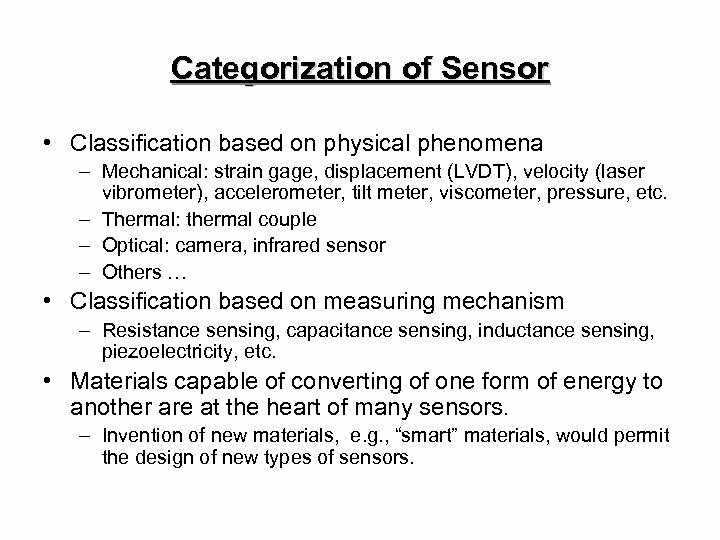 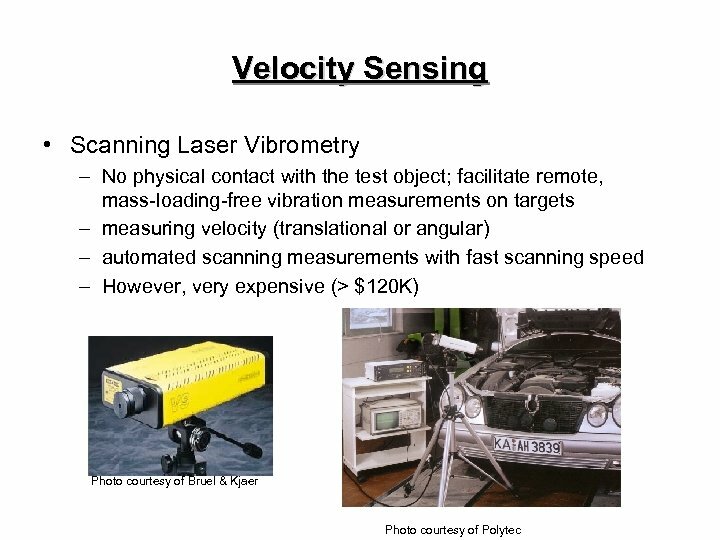 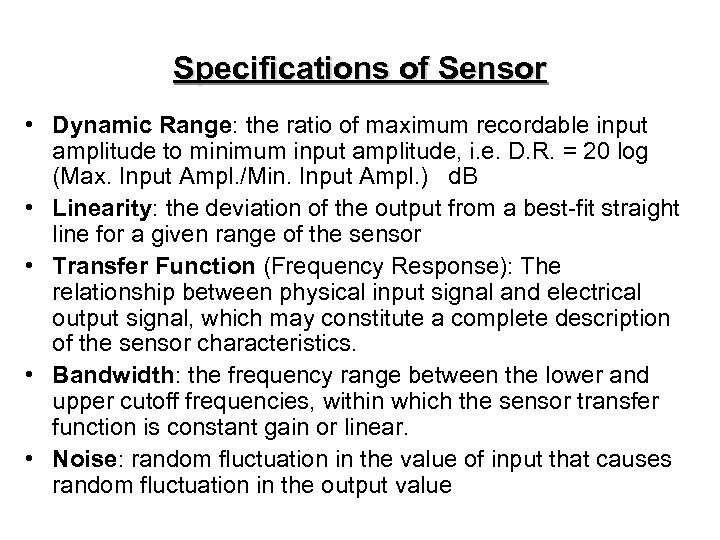 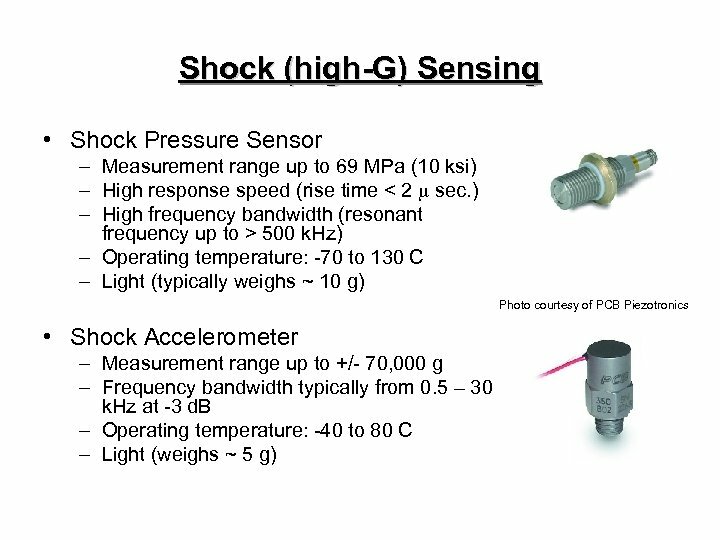 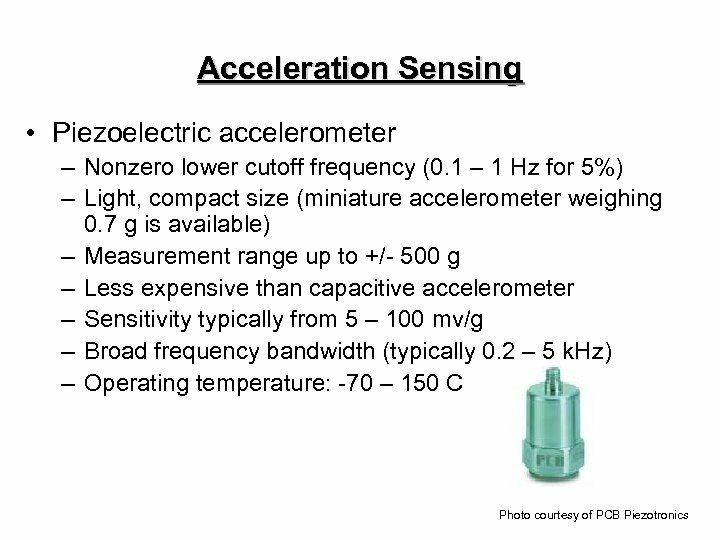 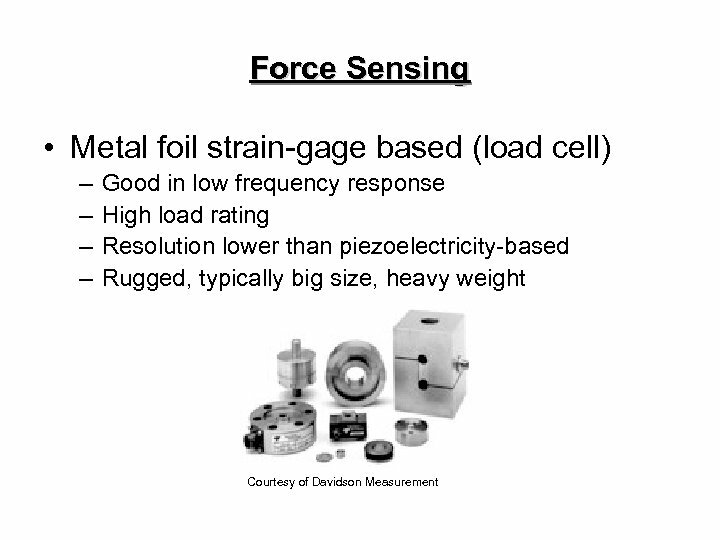 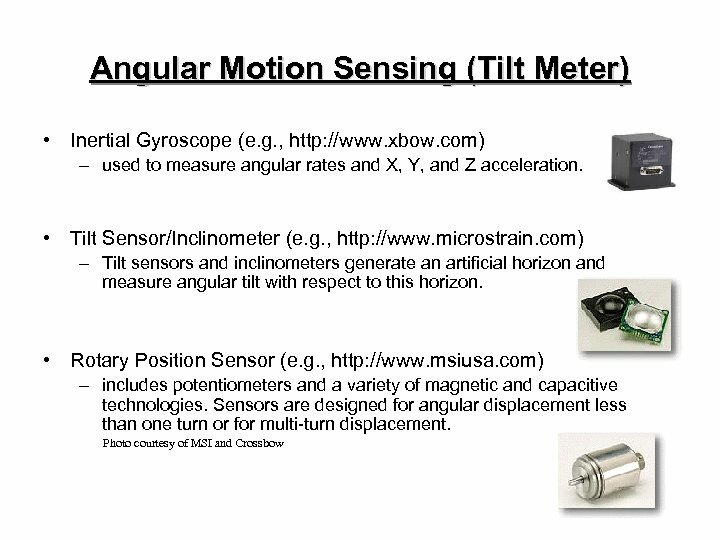 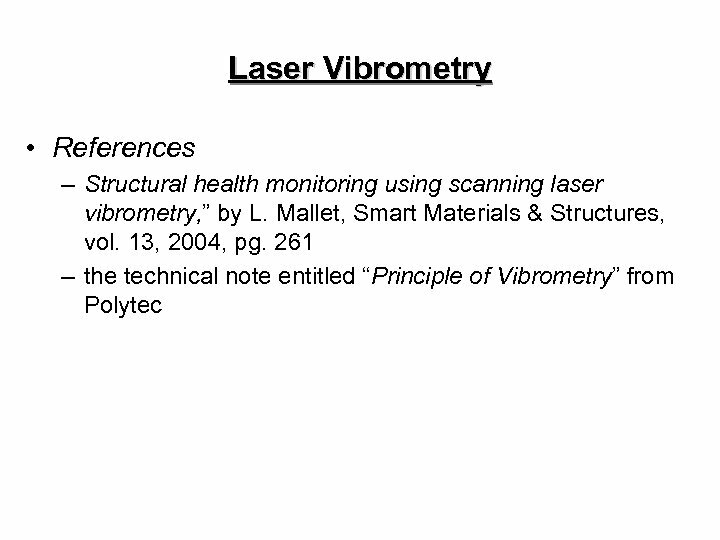 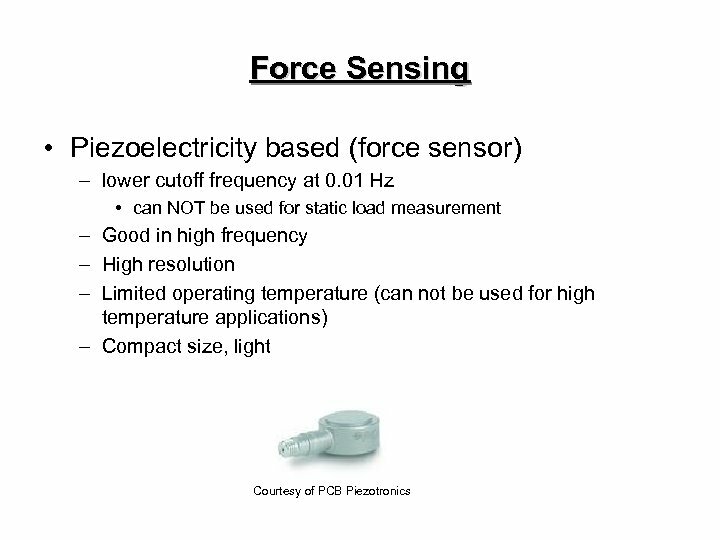 Categorization of Sensor • Classification based on physical phenomena – Mechanical: strain gage, displacement (LVDT), velocity (laser vibrometer), accelerometer, tilt meter, viscometer, pressure, etc. 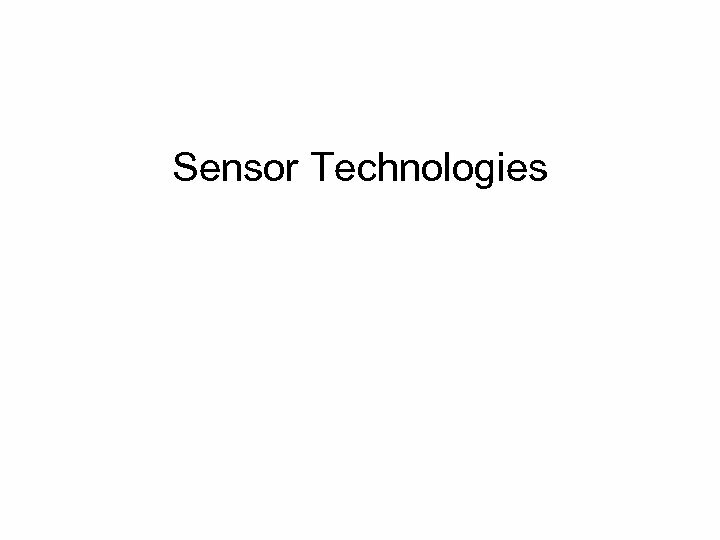 – Thermal: thermal couple – Optical: camera, infrared sensor – Others … • Classification based on measuring mechanism – Resistance sensing, capacitance sensing, inductance sensing, piezoelectricity, etc. 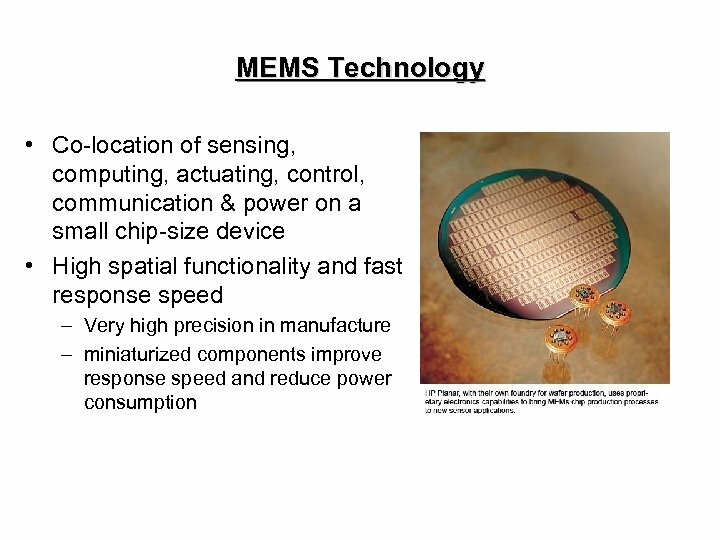 • Materials capable of converting of one form of energy to another are at the heart of many sensors. 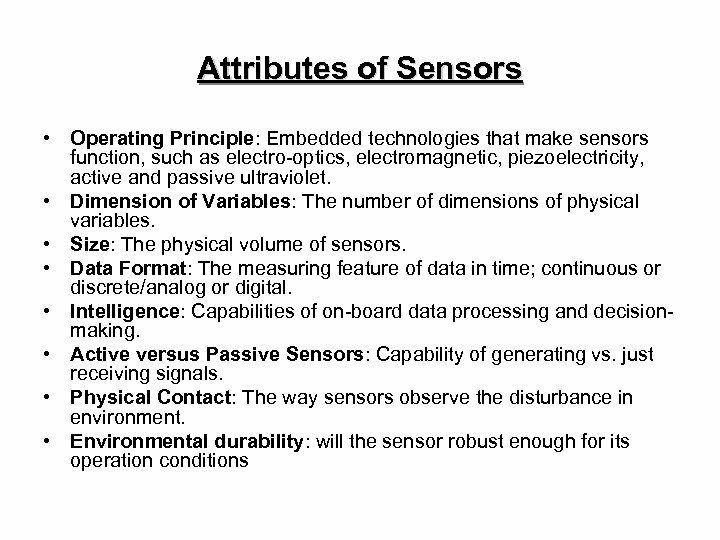 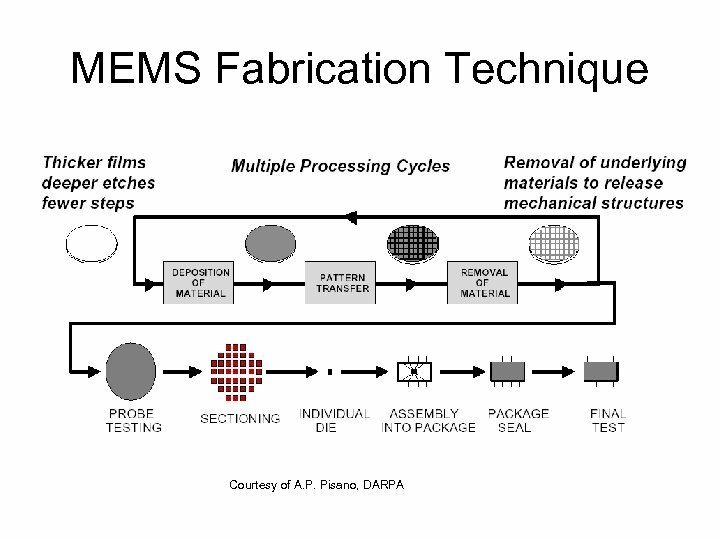 – Invention of new materials, e. g. , “smart” materials, would permit the design of new types of sensors. 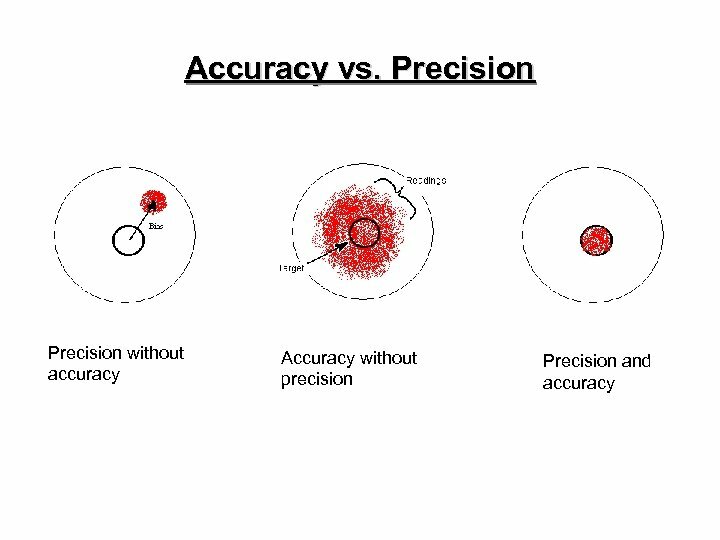 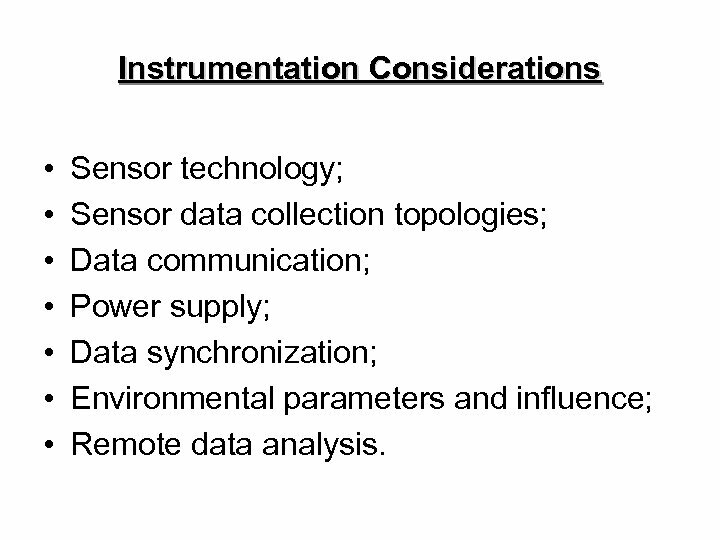 Instrumentation Considerations • • Sensor technology; Sensor data collection topologies; Data communication; Power supply; Data synchronization; Environmental parameters and influence; Remote data analysis. 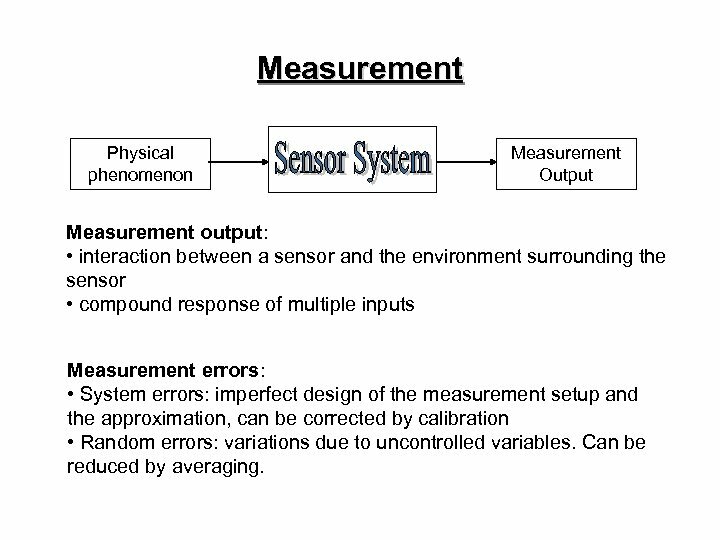 Measurement Physical phenomenon Measurement Output Measurement output: • interaction between a sensor and the environment surrounding the sensor • compound response of multiple inputs Measurement errors: • System errors: imperfect design of the measurement setup and the approximation, can be corrected by calibration • Random errors: variations due to uncontrolled variables. 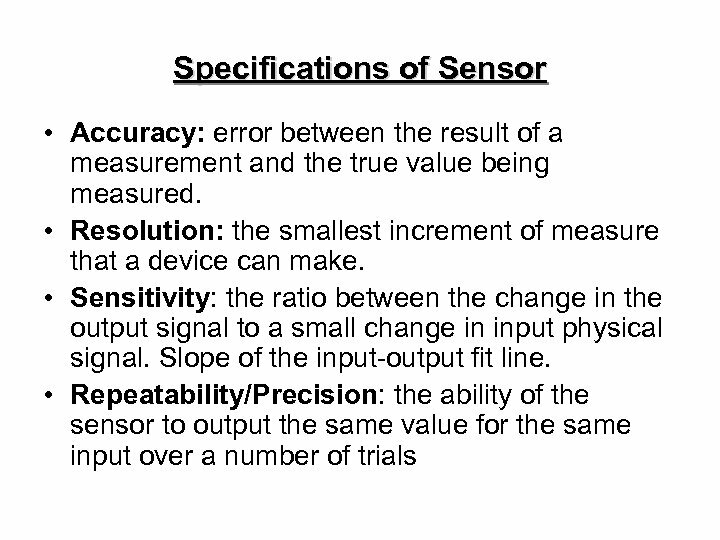 Can be reduced by averaging. 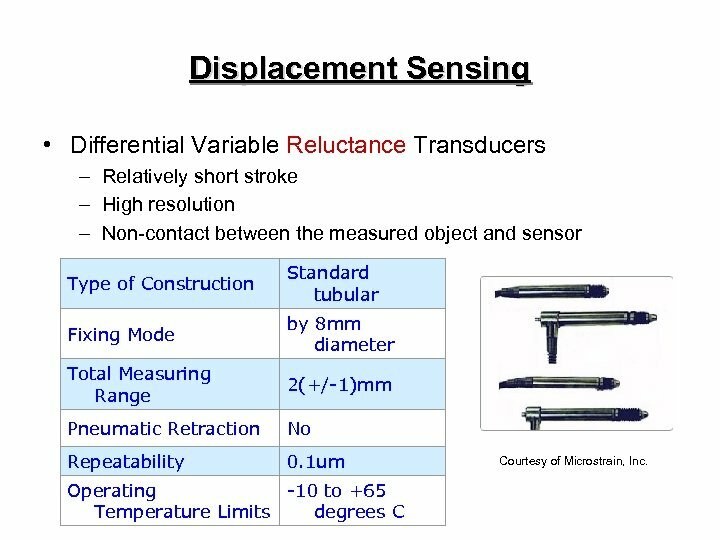 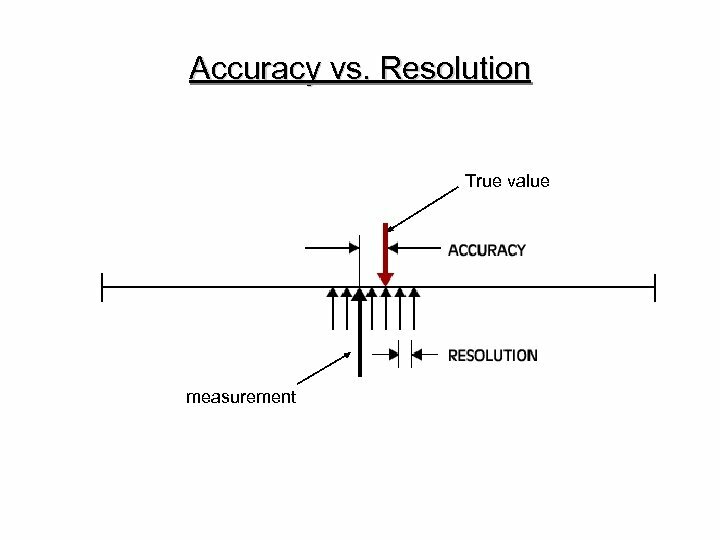 Displacement Sensing • Differential Variable Reluctance Transducers – Relatively short stroke – High resolution – Non-contact between the measured object and sensor Type of Construction Standard tubular Fixing Mode by 8 mm diameter Total Measuring Range 2(+/-1)mm Pneumatic Retraction No Repeatability 0. 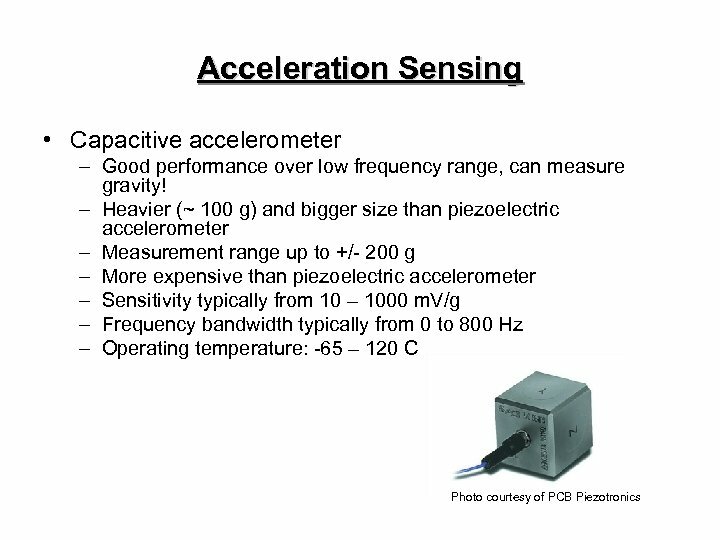 1 um Operating -10 to +65 Temperature Limits degrees C Courtesy of Microstrain, Inc.
MEMS Accelerometer • Capacitive MEMS accelerometer – High precision dual axis accelerometer with signal conditioned voltage outputs, all on a single monolithic IC – Sensitivity from 20 to 1000 m. V/g – High accuracy – High temperature stability – Low power (less than 700 u. 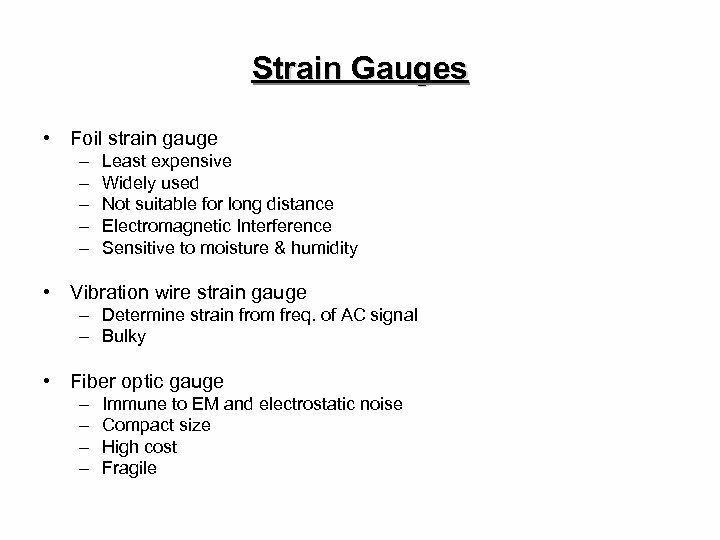 A typical) – 5 mm x 2 mm LCC package – Low cost ($5 ~ $14/pc. 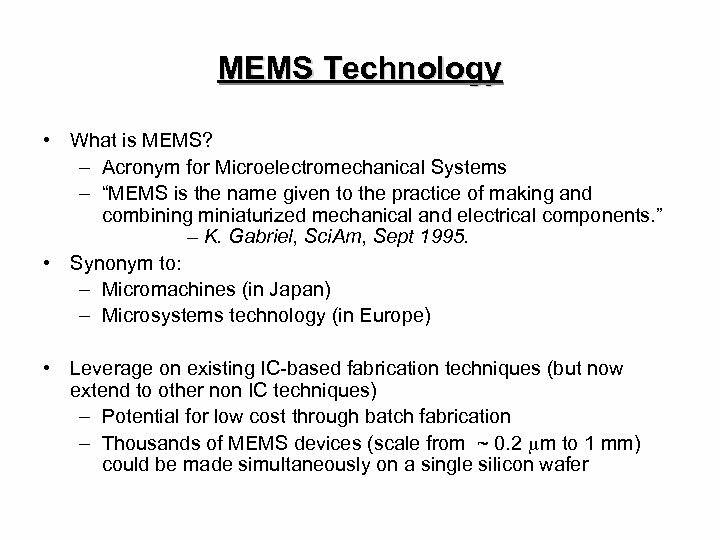 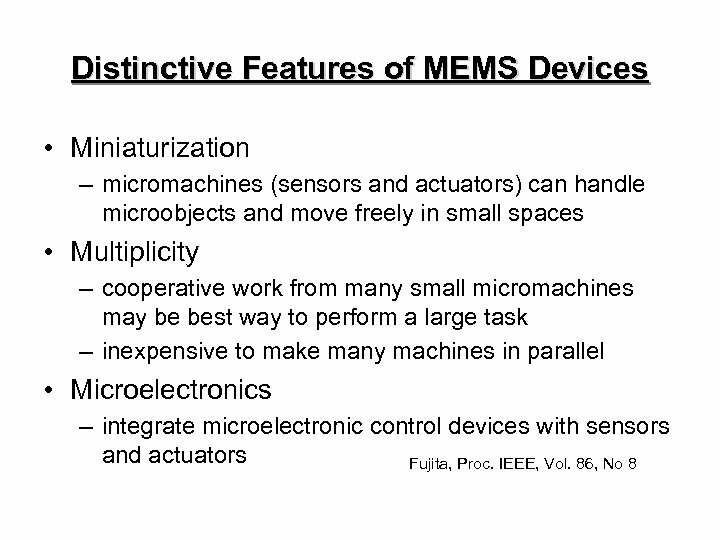 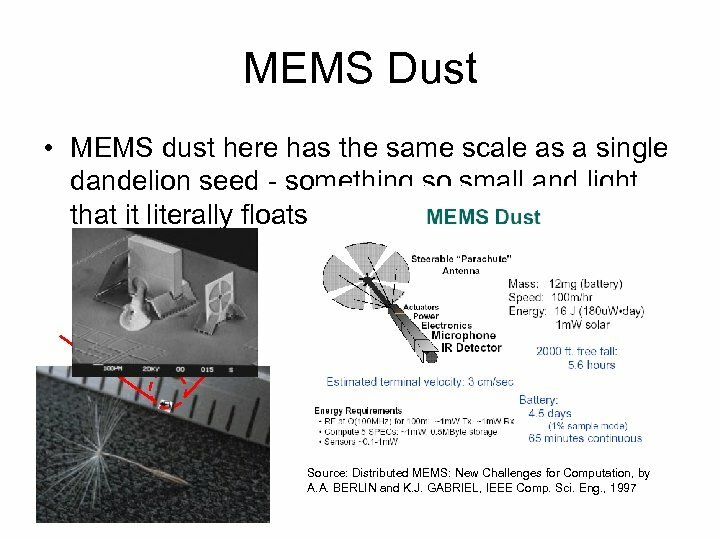 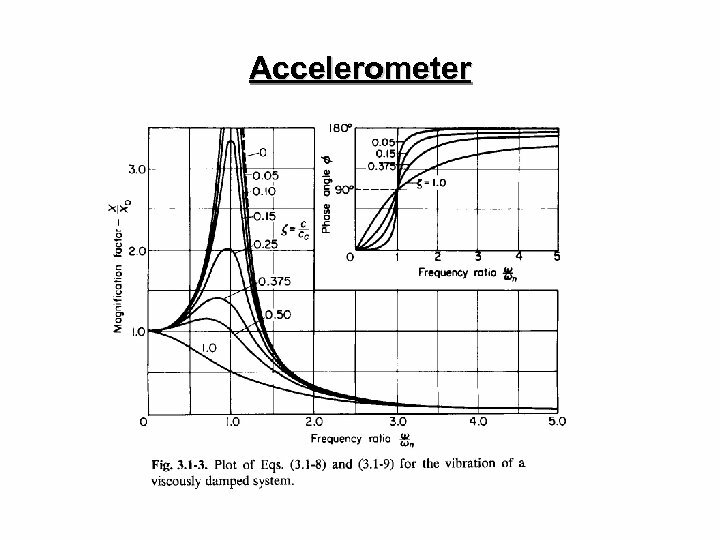 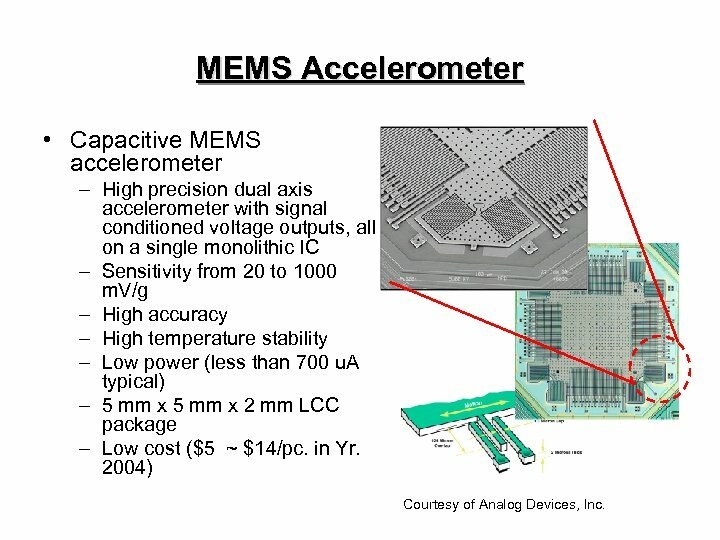 in Yr. 2004) Courtesy of Analog Devices, Inc.
MEMS Accelerometer • Piezoresistive MEMS accelerometer – Operating Principle: a proof mass attached to a silicon housing through a short flexural element. 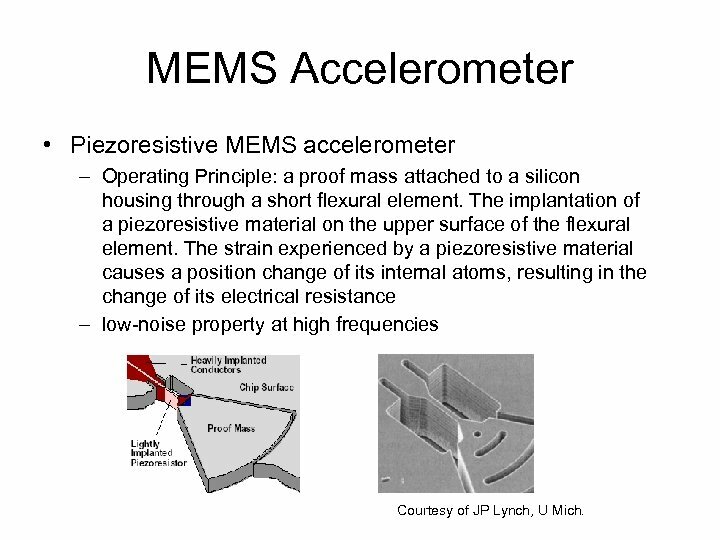 The implantation of a piezoresistive material on the upper surface of the flexural element. 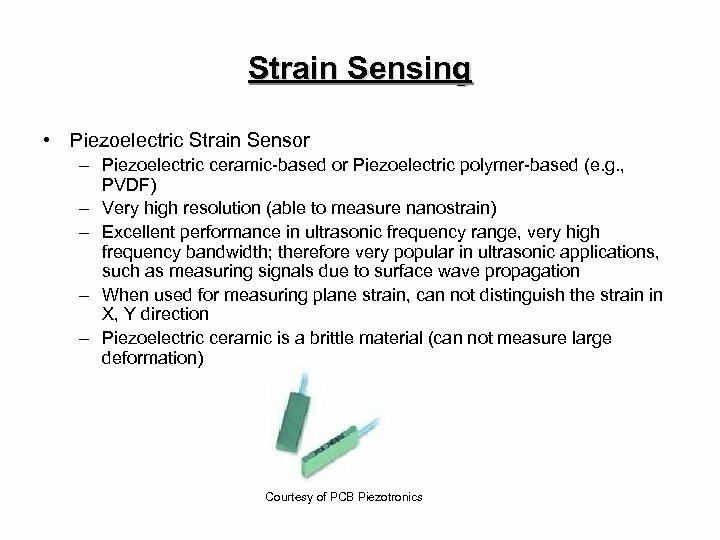 The strain experienced by a piezoresistive material causes a position change of its internal atoms, resulting in the change of its electrical resistance – low-noise property at high frequencies Courtesy of JP Lynch, U Mich.